Choosing a server location is one of the first decisions to make before launching a website. We will see more about Webhosting Location in the article. ​Building your site on the wrong host is like building a house on unstable soil. Does the server location really matters? ​Yes, ​It is very important when it comes to website SPEED and SEO. 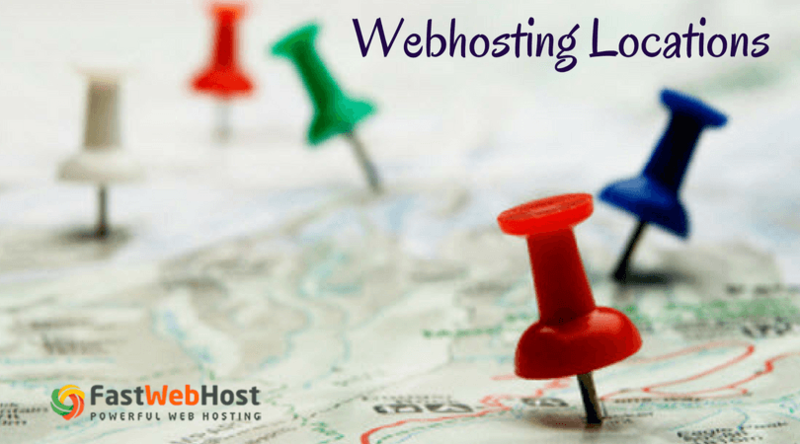 Choosing a webhosting location for your hosting service can boost your website load times and help with SEO rankings. Choosing a location for your hosting service can boost how fast your website loads and help with local SEO rankings. 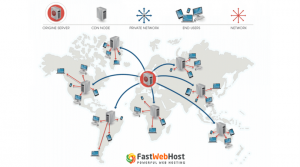 How does distance of webhosting location affect speed? How Does Distance Affect Speed? ​The world seems to have grown into a space where everyone wants everything instantly. No one would want to spend their time waiting for a website to spin and load at its own pace. ​The speed of website loading matters a lot! Web pages that load quickly perform well on all fronts: more engagement, higher conversion and user experience. ​In a computer network, latency corresponds to the time the data take to go from a point A to a point B. In the case of a website, it is the minimum delay happens for the data browsing the network between the web server and the web user’s browser, and vice versa. Than latency relates to the distance between the visitor and the server hosting the website. ​In simplest terms, latency refers to the amount of time it takes for your server to process a request for objects on a certain page. The higher the latency, the more time it will take for your page to load. Although many people don’t think about this at the time, webhosting location is an important factor when choosing a web host. Select one with a data center close to your target audience regardless of where you. How does speed affect SEO? ​ Most importantly, Google has also added page load speed to its ranking algorithms and ever since this criterion has turned out to be the buzzword in the world of SEO. ​Since page load speed is part of Google’s ranking algorithm, your website’s page load speed may have an impact on your Google rankings. The data on the specifics of this is confusing, though, and it seems likely that page load speed may be a very minor ranking factor. ​The impact of page load speed on users is likely much greater than its impact on Google rankings. Multiple studies have consistently documented the impact of page load speed on user experience – slow load times lead to user abandonment and decreased conversion rates. Scale does matter when discussing this benefit, though. An incremental improvement in conversion rate (which is huge for large e-retailers) may translate to a very small monetary benefit for websites with small traffic numbers. 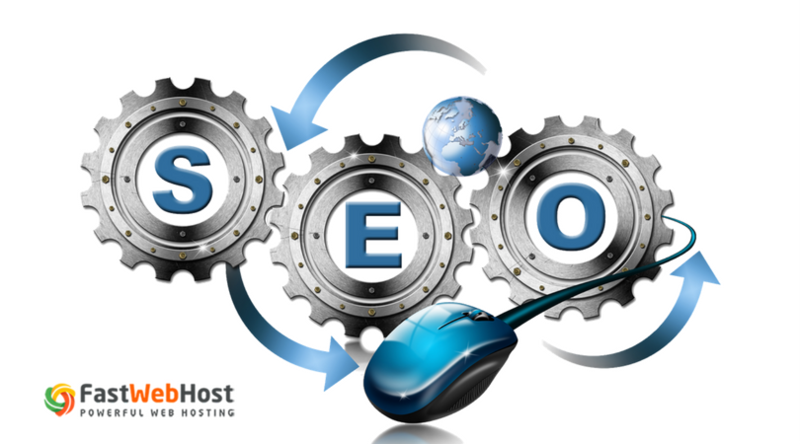 ​To improve SEO rankings for your website, you must host it in the same location as your target audience. This is one of the most important tips​. ​As told before, latency relates to the distance between a point A and a point B and is in compressible. Then, the only way to reduce the latency is to bring the points A and B closer. Here points A and B represents the webhosting location. ​The CDNs (Content Delivery Network) were created to fulfill this goal. ​To understand why CDNs are so widely used, you first need to recognize the issue they design to solve. Known as latency, it's the annoying delay that occurs from the moment you request to load a web page to the moment its content actually appears on screen. Number of factors affect the delay interval (Example: Speed, SEO etc), many being specific to a given web page. In all cases however, the delay duration will be effect by the physical distance between you and that website's hosting server. A CDN's mission is to virtually shorten that physical distance, the goal being to improve site rendering speed and performance. To minimize the distance between the visitors and your website's server, a CDN stores a cached version of its content in multiple geographical webhosting locations (a.k.a., points of presence, or PoPs). Each PoP contains a number of caching servers responsible for content delivery to visitors within its proximity. In essence, CDN puts your content in many places at once, providing superior coverage to your users. For example, when someone in London accesses your US-hosted website, it is done through a local UK PoP. This is much quicker than having the visitor's requests, and your responses, travel the full width of the Atlantic and back. Cloudflare, is one of the CDN which is growing fast and providing the best solutions through out the world. We recommend you to choose a webhosting location for your hosting servers that is closer to your target audience. Your customers are the most important asset of your business. ​A​lso, latency is an important point for your website loading time. If you focus on an international audience, you should consider using a CDN to enhance the visit experience of web users by bringing your contents closer to them. Most importantly, Google has also added page load speed to its ranking algorithms and ever since this criterion has turned out to be the buzzword in the world of SEO. In simplest terms, latency refers to the amount of time it takes for your server to process a request for objects on a certain page. The higher the latency, the more time it will take for your page to load. The speed of website loading matters a lot! Web pages that load quickly perform well on all fronts: more engagement, higher conversion and user experience. The world seems to have grown into a space where everyone wants everything instantly. No one would want to spend their time waiting for a website to spin and load at its own pace. Your website load time is based on the server, you select. Choosing a server location is one of the first decisions to make before launching a website. Location matters lot for hosting servers as this consideration is directly connected towards business target audiences. Completely agreed that CDN is the way better solution to get your services delivered quickly.